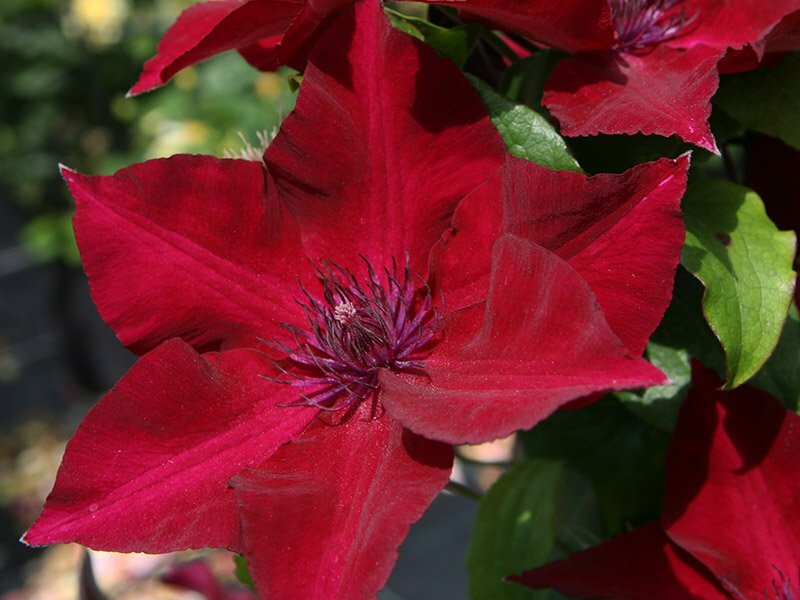 Stunning dark red flowers with darker red anthers. Very free flowering. Pruning	 Prune hard each February/March.